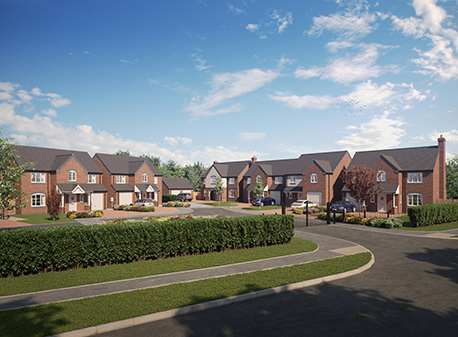 An exclusive development of 11 high-specification new homes is set to launch in Rugeley. Housebuilder Walton Homes chose to site another development in the town following the response to its longstanding history developing in and around Rugeley. Hathorn Manor, located off Wolseley Road, will comprise of 11 four- and five-bedroom luxury properties. Two of the homes have already been reserved on an early-bird basis, and the developer is confident interest in the remaining properties will be high when the site launches on April 26th. Amy Summerton, director of the business, said: “Groundworks at this site started last year and we’re delighted to be in a position to launch Hathorn Manor to the public. “We’ve already had a lot of interest from potential buyers due to the development’s location, lying on the outskirts of Rugeley and bordering Cannock Chase, and we’re confident that when they see the specification of the properties, they won’t be disappointed! The first homes are anticipated for delivery in late summer, with a sales negotiator being on site from Thursday-Monday to offer advice and support when sales open on April 26th.